Greetings from the Digital Library Center! Want to get a head start on your upcoming research papers? Looking to learn more about the history of the university and life on campus? Maybe you just want to view some of Special Collections and Archives‘ notable rare books and historical collections from the comfort of your own room. Check out FSU’s Digital Library (FSUDL) to view digital reproductions of the fascinating items held right here on campus. Visitors to the site can access primary and secondary source material or just go to see some really cool images without having to pay a visit to Strozier Library. The Digital Library Center (DLC) staff is diligently working behind the scenes to digitize and share their fascinating collections with the FSU community and the rest of the world. Their expert staff consists of the Production Studio team, Metadata Librarian and Digital Archivist. Together they work closely with library staff as well as with faculty to create high quality digital collections. By regularly uploading quality content to the FSUDL, the DLC is helping connect users to material needed for their research. 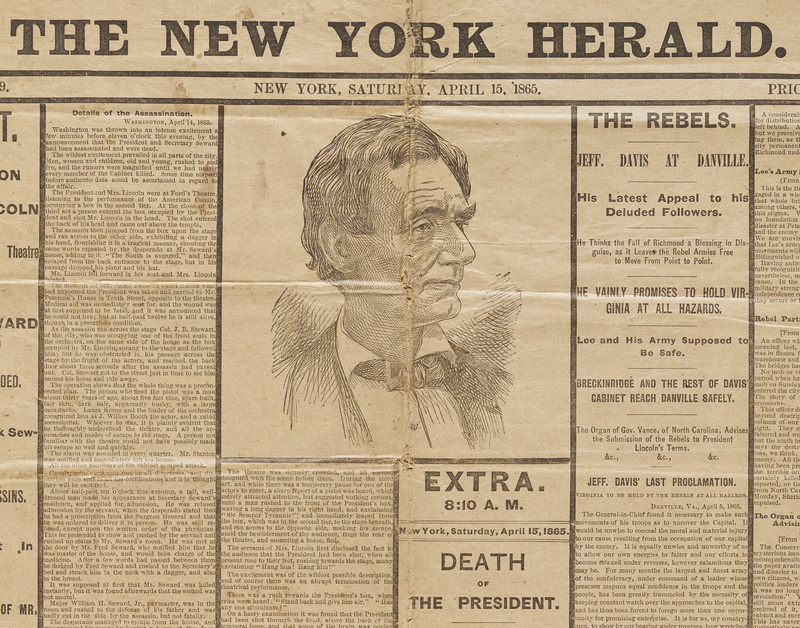 Rare and fragile New York Herald newspaper detailing President Lincoln’s assassination, April 15, 1865. While the DLC mainly focuses on uploading content to the FSUDL, their work serves several purposes, including preservation. 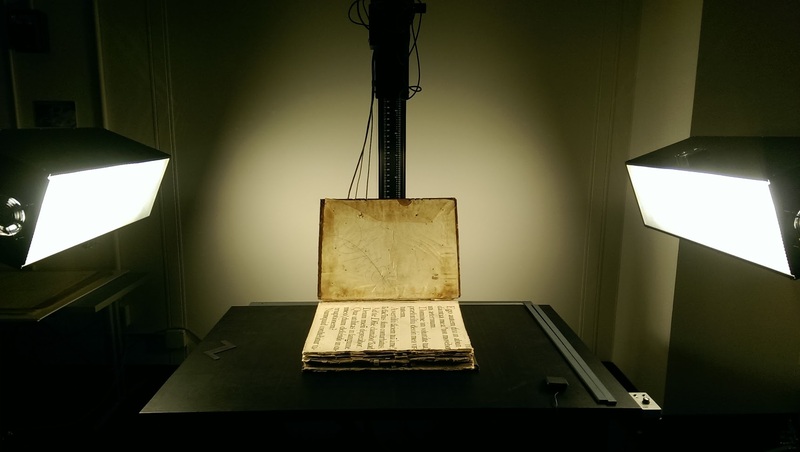 By digitizing rare, fragile collections and uploading the images, they are safeguarding items from over-handling while making them accessible to more users. The DLC also provides community members with expertise in the digitization of materials, digital project management and metadata creation. Our Metadata Librarian, Matthew Miguez provides expertise on the description of materials for long-term access and preservation. Without his meticulous organization of information backstage, finding content in the Digital Library would be frustrating and nearly impossible. Krystal Thomas, our Digital Archivist provides essential project management expertise to the DLC and ultimately decides which materials are chosen to be digitized and uploaded to the FSUDL. From each project’s initiation to completion, her comprehensive work helps ensure that relevant, quality content is consistently being added to our growing digital collection. Stuart Rochford, Giesele Towels, and Willa Patterson make up the DLC’s production studio team. They are tasked with photographing and scanning Special Collections material for their images to be uploaded to the Digital Library. Their extensive knowledge of state-of-the-art photographic equipment and imaging standards allows for high quality, high resolution images to be shared. This week the DLC is starting production on its next exciting project: Cookbooks and Herbals dating all the way back to the 1400s. New collections are always being added to the FSUDL and are often promoted right here on our blog, so check back for more updates on our digital collections! Born on the French island of Corsica in 1769 on August 15th, Napoleon Bonaparte is known for being the steadfast emperor of France who conquered much of Europe during the French Revolutionary and Napoleonic Wars. After winning most of his conflicts against relentless European coalitions, Bonaparte was ultimately defeated by the British at the famous battle of Waterloo in 1815. He was imprisoned on the remote island of St. Helena where he died at the age of 51 in 1821. Just after Napoleon’s passing on the island, one of his doctors created a customary death mask for the remembrance and final portrayal of the great leader. 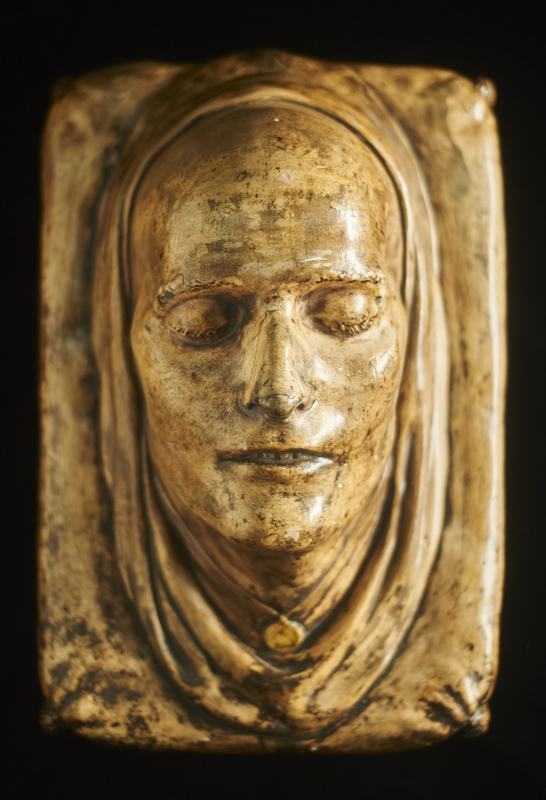 In addition to over 20,000 rare books and manuscripts from this significant era, the Special Collections Department at FSU houses one of the few remaining authentic death masks of Napoleon Bonaparte. In the early 1960s the Department of History established the Institute on Napoleon and the French Revolution which thereby led to the creation of this rich collection currently held in Strozier Library. Together, FSU’s Department of History and the Institute allow students a unique opportunity to study this historical period without traveling to Europe. Visitors to our Research Center can access French Revolutionary newspapers, primary source materials, letters, and, of course, Napoleon’s death mask. Part of the French Revolution and Napoleon Collection is already available online and does not require a campus visit to peruse. Focusing on this period, the FSU Digital Library’s French Revolution Collection on Camille Desmoulins, Lucile Duplesis, and Arthur Dillon contains high-resolution images of original manuscript letters, notes and pamphlets from the years 1702-1876. This unique online collection and many others in the Florida State University Digital Library is open to the public. 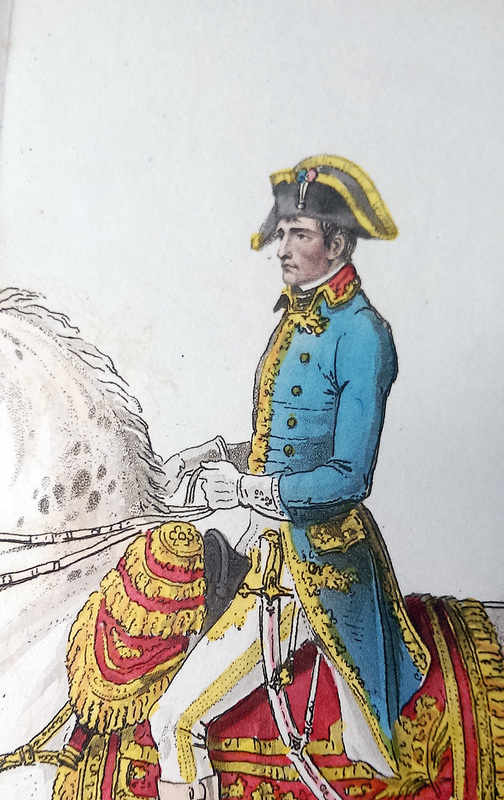 Feel free to stop by the Special Collections Research Center at Strozier Library to wish Napoleon Bonaparte a happy birthday and learn more about the fascinating history surrounding his life. The Florida State University Digital Library (FSUDL) has been a contributing member of the Digital Library of the Caribbean (DLOC) since its formation in 2004. 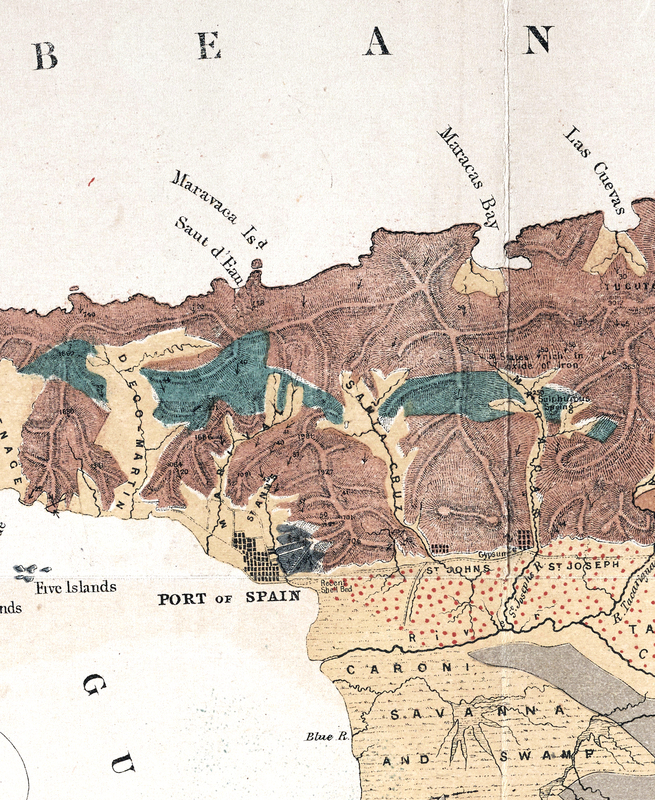 Since then, the FSUDL has uploaded historic and rare maps of the islands to DLOC. 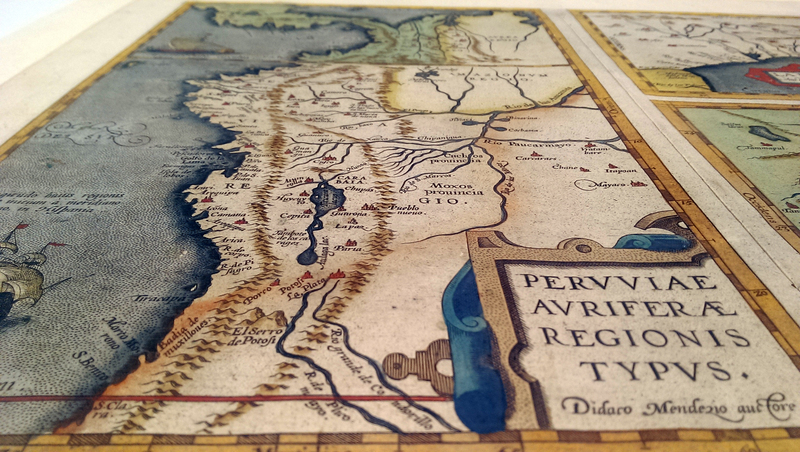 These maps were created by some of the world’s most talented cartographers and explorers and our oldest map, created by Abraham Ortelius, dates all the way back to 1584. The FSU Digital Library Center was asked by DLOC to contribute to the collection by selecting and photographing some of the unique maps held here in Special Collections & Archives at Florida State University. 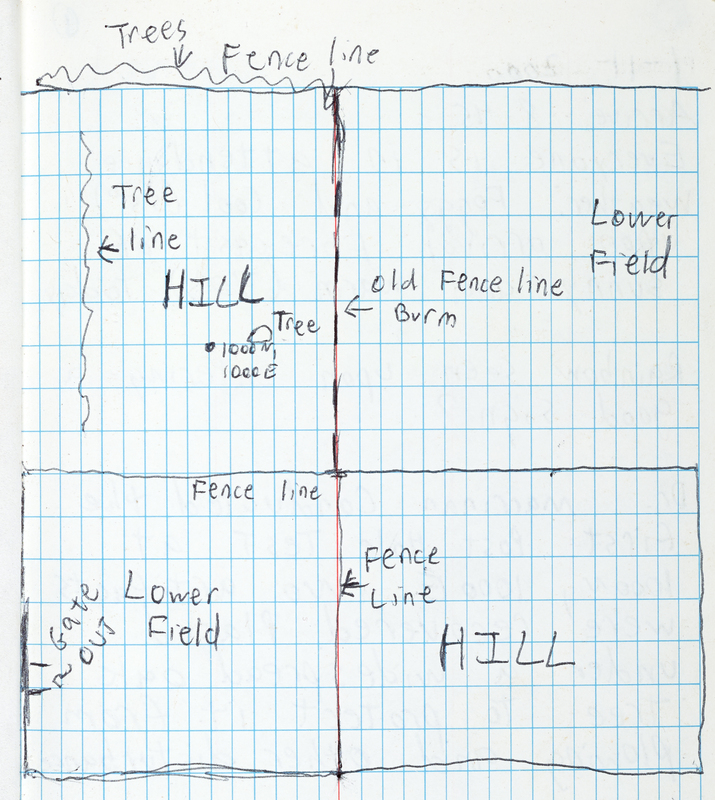 The intention was to expand the scope and geographic area of the existing DLOC collection and, once the maps were uploaded to the Digital Library, they would be made viewable to the public. The availability of these digital images will help reduce the wear-and-tear caused by repeated handling of these fragile maps. In addition to adding more maps to the collection, the Digital Library Center at FSU decided to re-photograph its previously digitized maps that were originally captured on a now-obsolete piece of scanning equipment. 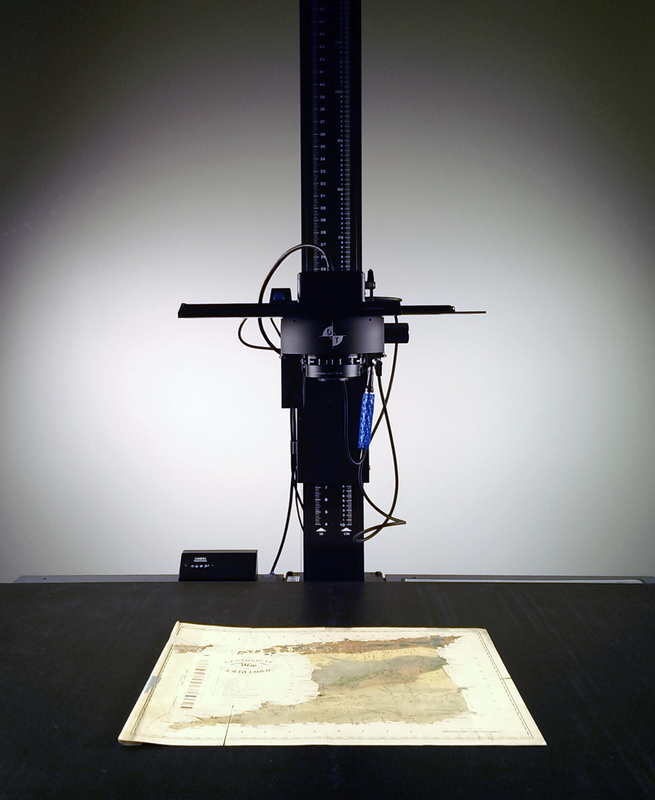 The updated images were photographed by a more powerful overhead, medium-format camera and lighting kit which ensured the maps were digitized at a higher resolution. Now these high-quality images in the collection accurately represent the true detail and colors of these works of art. Most of the maps in FSU’s previous contribution consisted mainly of the West Indies, Eastern Caribbean, Cuba and the Bahamas. However, the Digital Library Center has since included some areas of the Western Caribbean as well as parts of Central and South America. 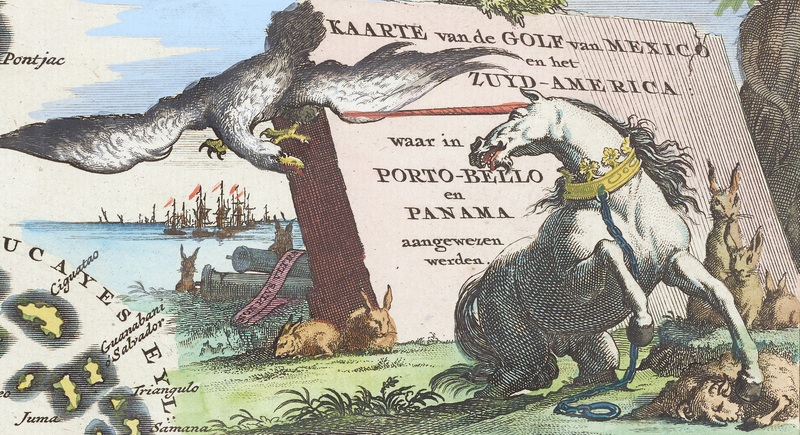 Some of the images in the Caribbean Maps collection display detailed drawings, etchings and engravings printed with vibrant colors. 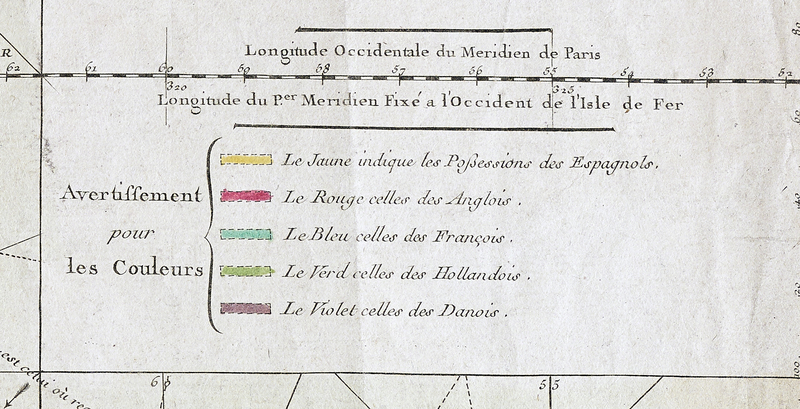 Other maps are equipped with informative, color-coded keys that show which countries controlled the islands at the time. In these maps, each island is painted according to the colors in the key. 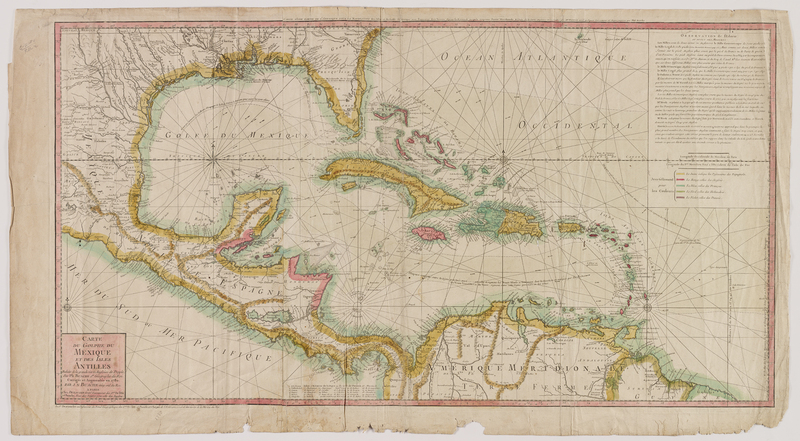 To view the maps in our Caribbean Collection, click here. To view other FSUDL material, including historic books, photographs and ephemera, head over to the Florida State University Digital Library. Stuart Rochford is the Digital Library Center manager at FSU and has worked with Strozier Library since 2011. He graduated from FSU with a BFA in graphic design and is currently working on his Master’s Degree in Library Science. 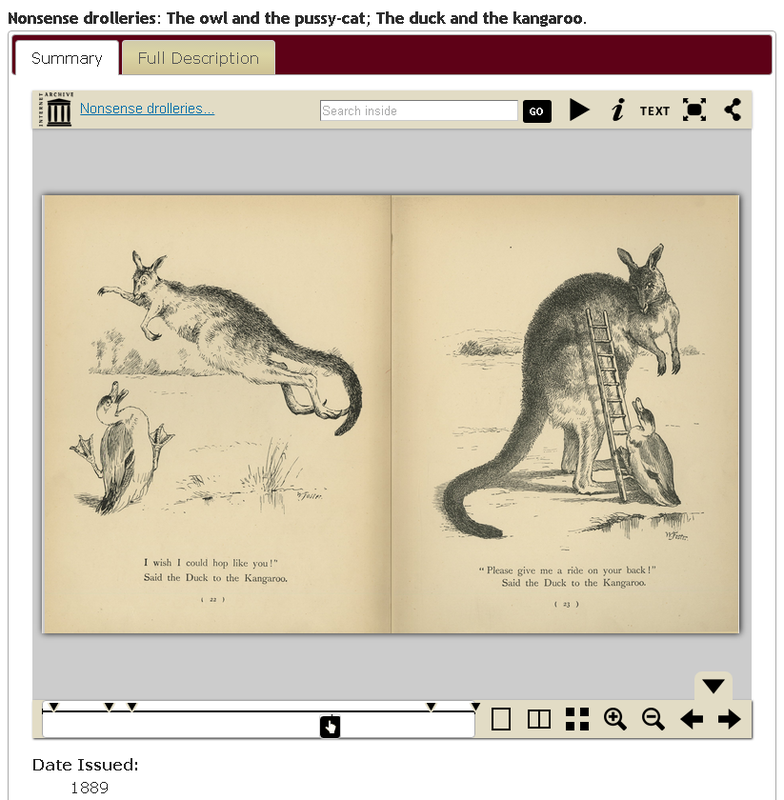 The Digital Library Center at FSU’s Strozier Library has digitized thousands of rare and unique items ranging from existing materials in FSU’s own Special Collections & Archives division to international patron research requests. Their staff of experts consists of Willa Patterson, Giesele Towels and studio manager, Stuart Rochford. Together they carefully work to create content for the ever-growing FSU Digital Library, which already contains a vast collection of academic and FSU-related scans. Utilizing a combination of flat-bed scanners, a book scanner and a medium-format, overhead camera, the Digital Library Center creates accurate copies and works closely with its patrons to deliver the perfect product. The DLC typically receives digitization requests directly from Special Collections & Archives and, based on the size and scope of the project, will ultimately decide which equipment to use for the job. Smaller, flat items such as individual manuscripts and photographs are usually scanned using the extremely capable Epson Expression 10000 XL. Other times they are handed fragile, rare books with damaged binding or spines which require a bit more delicate attention. For these materials, the Epson would do more harm than good, due to having to lay the book flat and apply pressure for an accurate scan. 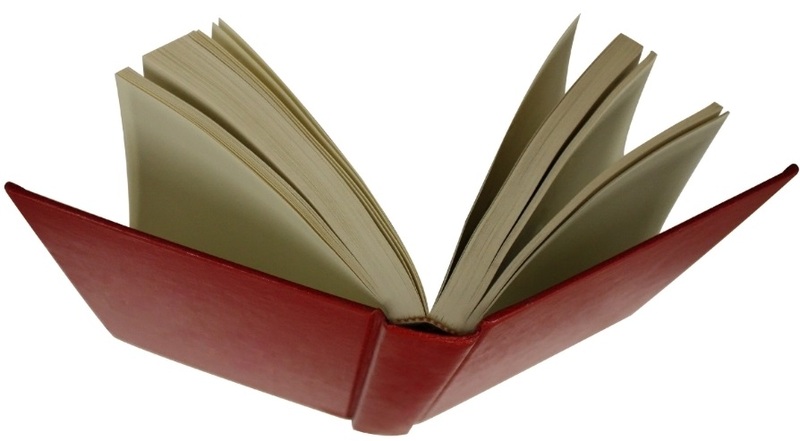 In this case they will move to the ATIZ BookDrive Pro (pictured above) which features a 120° V-shaped book cradle and adjustable glass for applying gentle pressure to lay the pages flat. This setup contains two Canon Mark II 5Ds and an LED lighting kit for uniform light distribution. The book scanner software allows for rapid production by shooting two pages at a time and automatic organization and numeration. 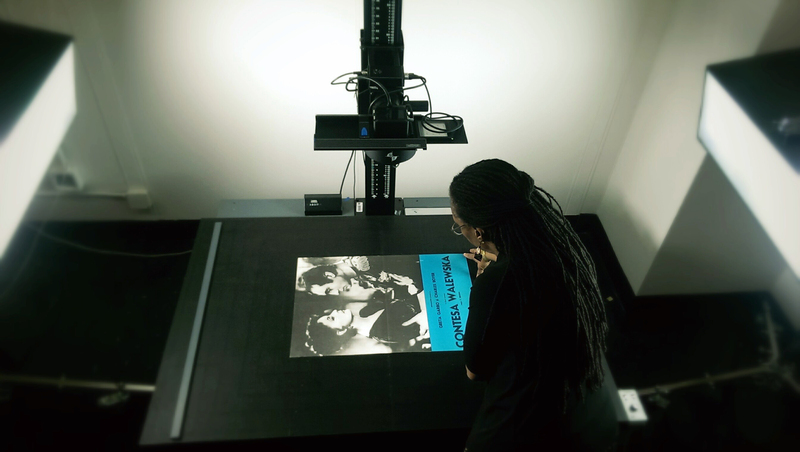 For larger materials, including maps, posters and even oversized books, the Digital Library Center uses their powerhouse setup; the overhead medium format Phase One IQ180 camera back with Schneider lens and vacuum base (to pull the items flat). 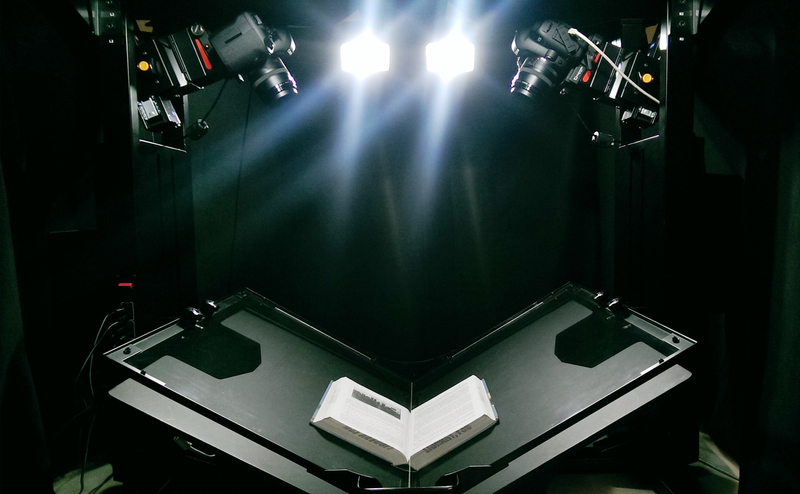 Along with two massive HID (High Intensity Discharge) light fixtures, this setup allows the DLC to produce accurate copies without sacrificing the integrity of the photographed material. 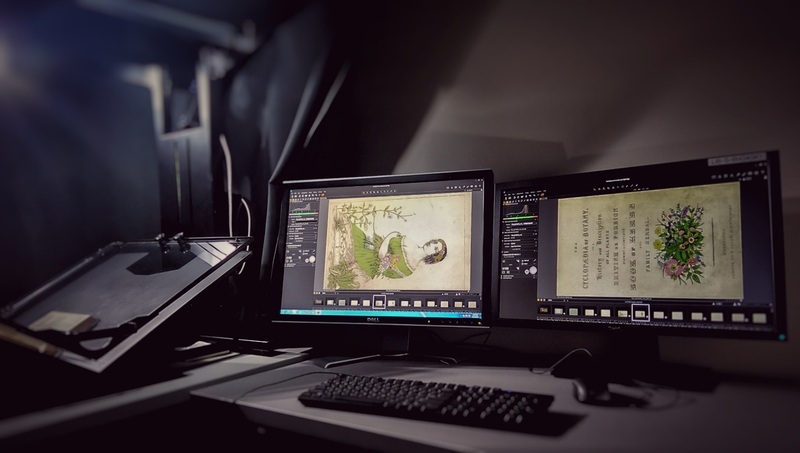 Together, the Digital Library Center staff and its state-of-the-art technology produce accurate and high-resolution scans and continues to upload quality content for our researchers’ convenience. Feel free to browse around FSU’s online Digital Library and see what we’ve been up to!